Master Sgt. 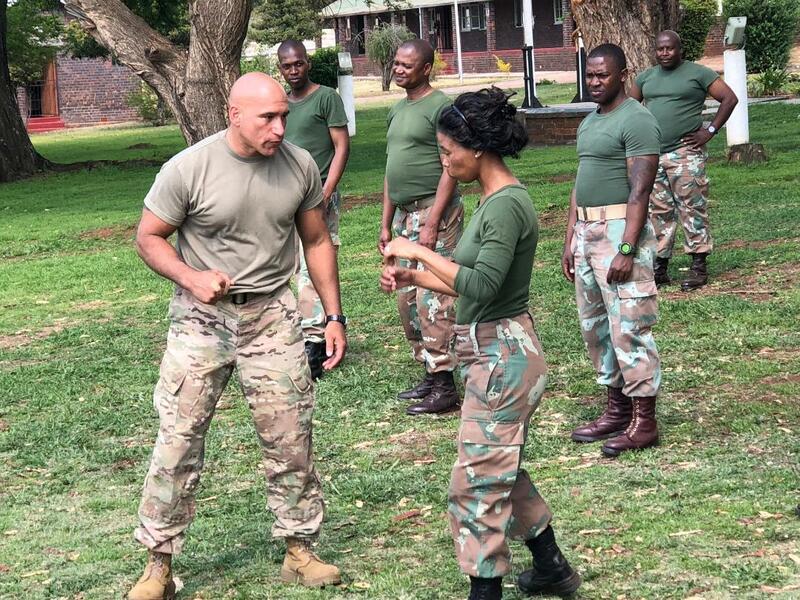 Luis Barsallo, a certified hand-to-hand tactics instructor demonstrates a move to members of the South African National Defense Forces during an exchange visit on October 10, 2018. Soldiers from the New York Army National Guard took part in an exchange program at the South African National Defense Forces Military Police School during an exchange visit there on Oct. 10-11, 2018. Twelve New York Army National Guard experts in civil support operations, military police, law enforcement, and self-defense took part in the exchange visit.